This past fall, my family and I traveled to Bergen, Norway. Norway is one of the most expensive countries to travel to, yet offers many beautiful sights. In our short three days in Bergen, my family and I were able to hike Mt. Fløyen, tour the Norwegian Fjords, and visit the UNESCO heritage site Bryggen. Because we knew Bergen would be a more expensive trip, we looked into AirBnB options as well as hotels. We were able to find an AirBnB that was cheaper for 4 people to stay at than any of the hotel options. The best part? We enjoyed AirBnB more than we would have a regular hotel! The air bnb we chose had a fantastic location in Bergen. While it was a short 5 minute walk to Bryggen, the place was perfect for us. As we had four people, we were a larger group and a single hotel room likely would not have been suitable. This air bnb had 2 bedrooms, as well as a pull out couch in the main living room. 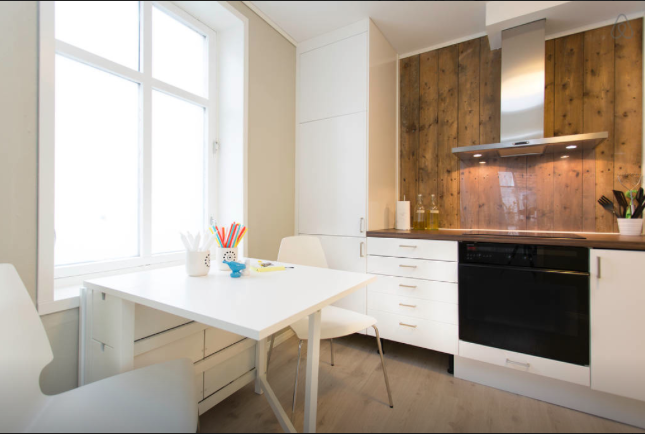 One of the best features for us while in Bergen was that we had access to a full kitchen. We used this to save quite a bit of money, making many of our meals at home and carrying sandwiches with us while out and about. The bathroom was a good size, and had clean, soft towels for our use. There was shampoo and body wash in the shower. My favorite part was definitely the heated floor of the bathroom! Our stay at the air bnb location was absolutely perfect. We enjoyed the larger, spread-out space; as well as access to a full kitchen. It was incredibly convenient that we also had free wifi available to us. While we did not meet Christel, the owner of the apartment, her boyfriend was incredibly helpful to us. He pointed out how to get to the beginning of our hike, as well as gave us many restaurant recommendations and answered questions about the town and how to get around. 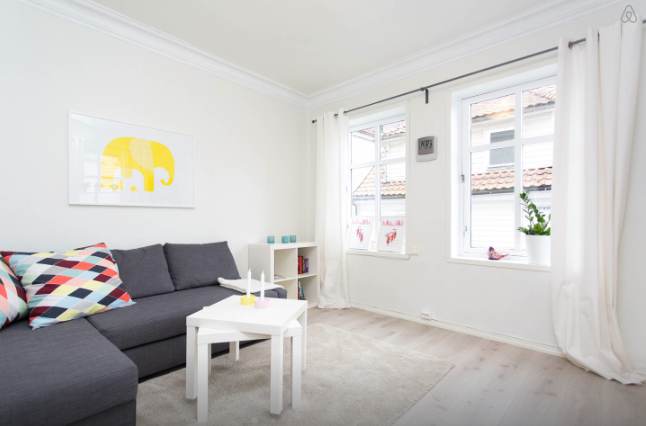 For anyone looking at a stay in Bergen, I would highly recommend this air bnb location! I've never heard of an AirBnB. It looks really gorgeous though! Just as comfy as any hotel rooms I've ever stayed in. I think it would be awesome to visit Norway. I've been to Japan, but never got to travel anywhere else yet. Someday I'll see some of the places on my long wish list! Nikki, AirBnB is such a great option. For us, we loved that we had a full kitchen and could make some of our own meals! I have never heard of this place before! I love the fact that it has a full kitchen that is my favorite way to save money while we travel. It looks so much more homey then a normal hotel room! I bet with kids its much more convenient then a hotel room. Jennifer, I definitely think it can be much more convenient than a hotel room. 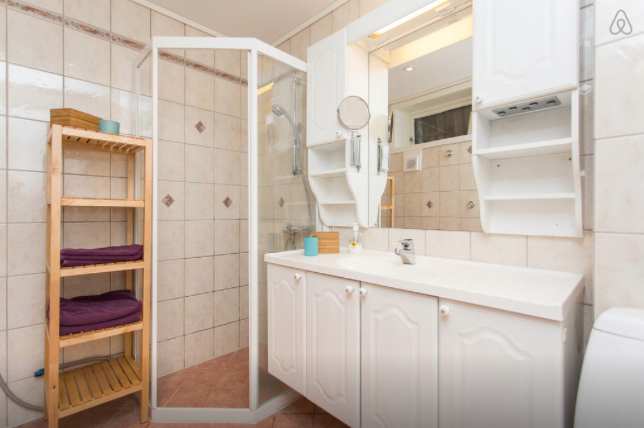 AirbNb is a great option for traveling. Jeanine, I definitely think with a family airBnB would be a great option. You'll have to check it out for your next trip, they have locations all over the world! I have been hearing great things about AirBnB all over the world. I'm def going to look into this when I travel to Barbados this fall. Thanks for this awesome review and the heated floors. I would have asked the selling price because I def. would not have wanted to move after that. LOL! Yolonda, you should definitely look into it for Barbados! It can be a great option while traveling. Question though: Do you do the laundry (ie: wash the towels) when you leave, or do the owners come back and do them? Do you ever come face to face with whoever owns the home? To answer your question, it really depends on the owners. We met face to face with the owner of our place when he gave us the keys and information about the place- as well as tips for the town. I know some locations you don't meet with the owners, but from my experiences usually they are all very helpful. For laundry, they just asked us to put all the towels in the washing machine and start it, same with the dishwasher. Then they took care of the rest after we were gone! I've never heard of AirBNB, but it sounds awesome! I love traveling and I'm always looking for the best options! Do you have to do the dishes, laundry, etc though? Lauren, it depends on the place I think. The owners of this place just requested that we start the dishwasher and washing machine when we left, then they would take care of the rest. I've never heard of AIrBnB but it looks gorgeous! Great to know there are affordable options when traveling. I didn't realize that Norway was so expensive to travel to - but from the looks of your photos it looks well worth the expense. Michelle, Norway was definitely worth the expense! AirBnB was definitely the best option for us when traveling there. Get $75 to host! Get $25 to travel! Sign-up: http://www.airbnb.com/c/sapple2?s=8 - Free $25 travel credit to explore anywhere in the world. When you sign-up to Airbnb for travel and accommodation you get $25 for free which you can use on any travel booking! Pretty awesome. Use Airbnb to travel all over the world and meet amazing friends and discover comfortable accommodation.